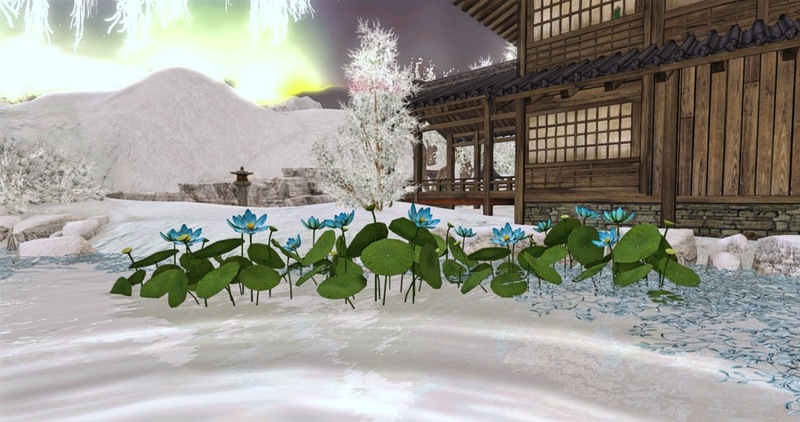 Blue Lotus Okiya is a virtualization of the mountainous coast and interior "spine" of Japan. It reminds me very much of the area around Kyoto Japan -- which I have visited and was charmed by in real life. Blue Lotus Okiya, which dates back to 2007 is a roleplay and retail sim, one that looks very authentic. 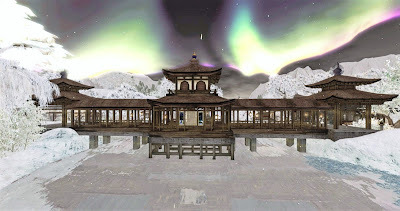 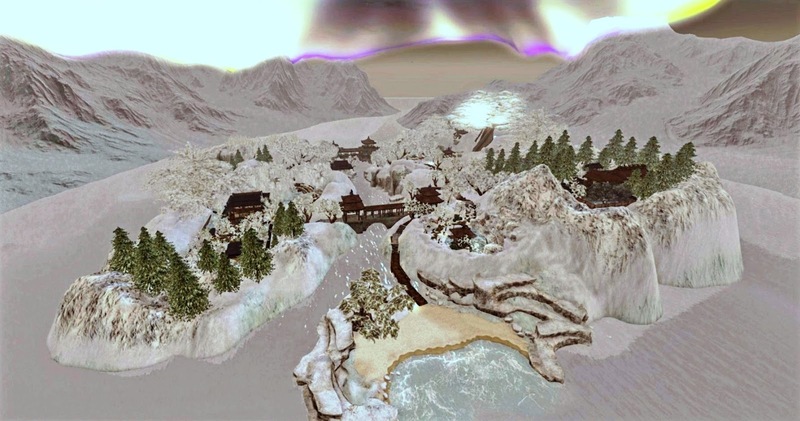 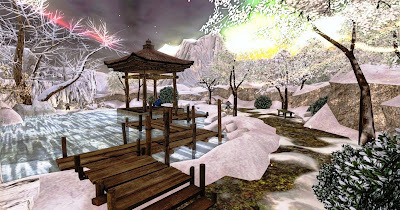 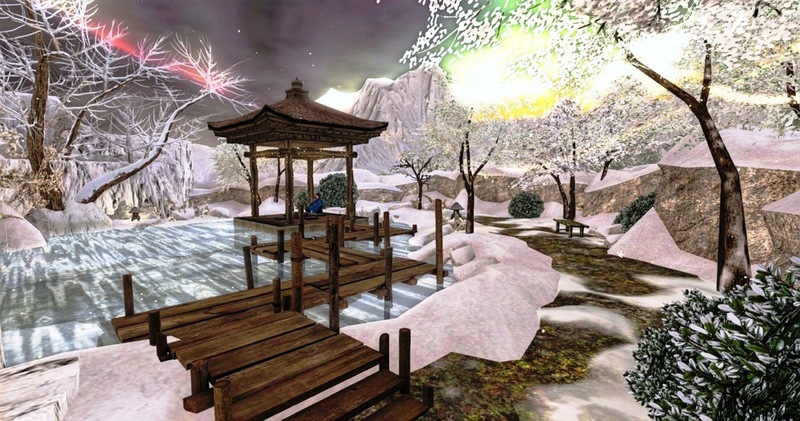 I found the layout of the islands against the mountains and water, and the charm of all the buildings to make this a must-see Second Life Destination. 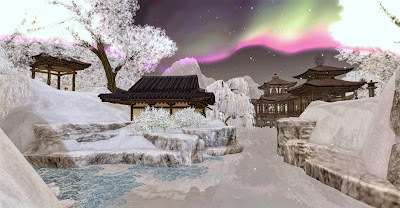 The island looks particularly gorgeous in its winter setting, with soft snows reflecting the Northern Lights which were visible from the northern Japanese island of Hokkaido in 2015. 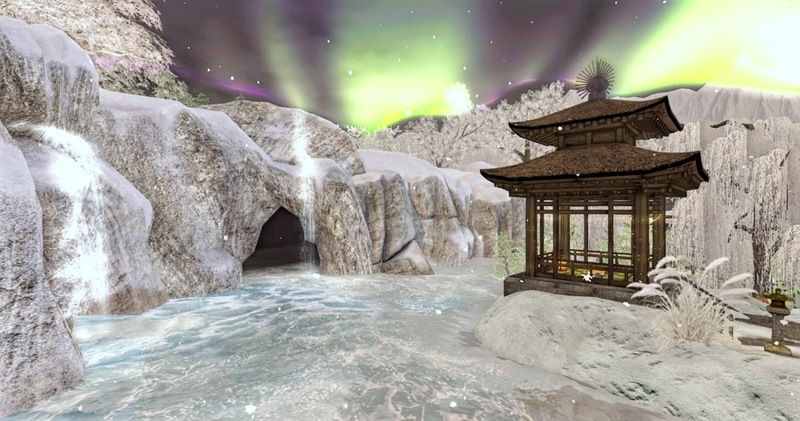 We will review another beautiful destination set in the snowy mountains of Japan, Neko no Jinja, here tomorrow. 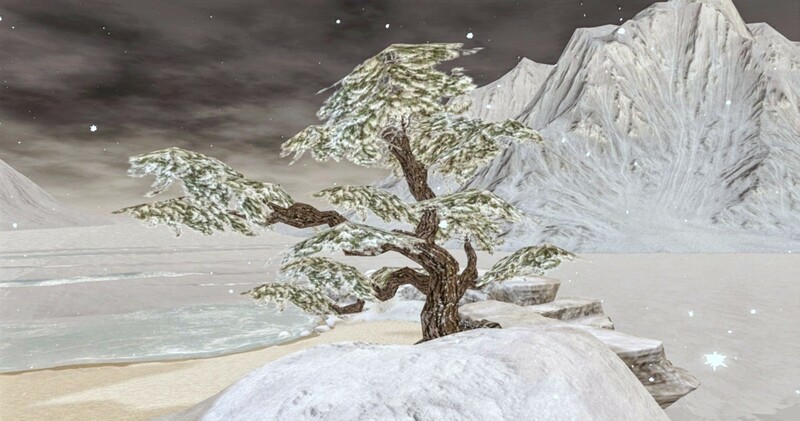 thanks Carl! 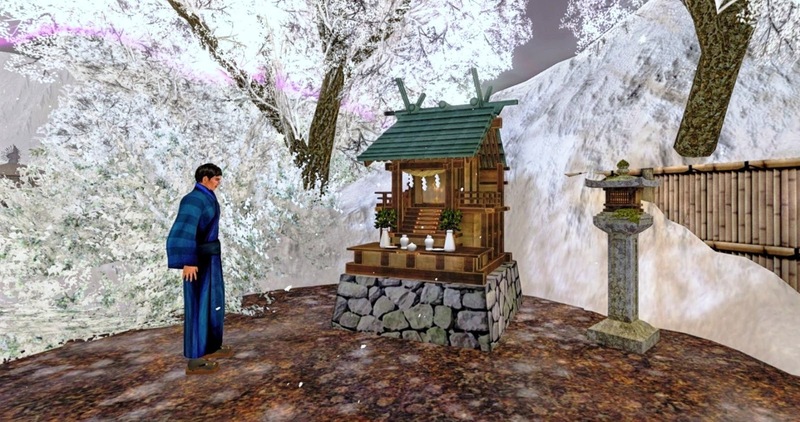 Knowing others like my work keep me going!